William Robert Ancketill (1820–1889) lived in the Ards, at Quintin Castle which he rented from his in-laws. His wife Madelina Selina Ker was the daughter of David Ker MP of Portavo, Donaghadee and Montalto. They married at St George’s Church, Hanover Square, London, in October 1844 (his brother Matthew-John Ancketill had married her sister, Catherine-Ann-Francis Ker, in 1840). By the late 1850s he was a JP, based in Ballynahinch it seems, presiding over local events such as sectarian skirmishes in the town. He was also a member of the Board of Guardians for the workhouse in Downpatrick. On 11 June 1874 William Robert, and a number of his relatives who were living in England as well as Monaghan, changed their surname spelling from Anketell back to what is said to have been the more ancient spelling, Ancketill. According to the Belfast News Letter on 31 July 1874 he bought Quintin Castle and estate (the townlands of Newcastle, Dooey, Kearney, Knockinelder and Ballymartyr - totalling 1013 statute acres) at auction for £2650. The estate was reckoned to be worth £1283 per annum in yearly rent to tenants. In 1879 he was reported in the Belfast Weekly News of having given in Portaferry ‘a very able lecture on tenant right’, of which he was said to be ‘one of the best authorities on the Irish land question’. Around this time it seems that he had sub-let the castle including the rights for ‘sea-bathing’ on its shoreline over a few consecutive summers. "I'm frae the Noarth, frae Killinchy in the coonty o' Doon, an' I'm wan o' thae lint instructors that's sent doun frae Belfast to lairn the folk in the wast to grow lint; hae ma doots aboot it ... Cawmil thay ca' me in Coonty Doon; we're a' Scoatch in thae pairts … A’m a covenanter, an’ aye adjure wi’ uplifted haun’ … Mr. Campbell is a type of that active, intelligent class of Irish-Scotchmen who have made Ulster what it is ; they are always moving, always "aff" about their business. Were all Ireland inhabited by such a race, it would be second to no other country in the world ...". On page 85, the 'Honourable Member for Dheree' says that he is 'sib' to Margaret Wilson the Covenanter martyr. And so on. The Pall Mall Gazette was not impressed. It said ‘a worse novel than “Mick Callighan” it has not been our lot to meet with for many years’. • The adventures of Mick Callighin, M.P., a Story of Home Rule (1874) is online here. * His next novel, Dowdenham, a Tale of High Life in the Present Period (1879) is online here and has a has a five page Glossary of Scots words, spoken by a Scottish character in the book. However one reviewer called it ‘a dull and maundering book’, another said it was ‘pleasantly written, but not strong enough’. Ancketill, despite being ‘landed gentry’, was therefore publishing Ards Peninsula Ulster-Scots six years earlier than May Crommelin (1880) and four years before WG Lyttle’s first newspaper stories appeared in 1878, and 12 years before Lyttle’s first novel, Sons of the Sod, was printed in 1886. FAMILY BACKGROUNDWilliam Robert Ancketill was seemingly born at the family seat of Anketell Grove in Monaghan, on 31 March 1820. His father was William Anketell, and his mother was Sarah Maxwell of Finnebrogue, near Downpatrick (whose grandfather was Robert Stewart, the First Marquis of Londonderry). W.R. went to Trinity College in 1838, he later served as Captain with the Monaghan Militia. 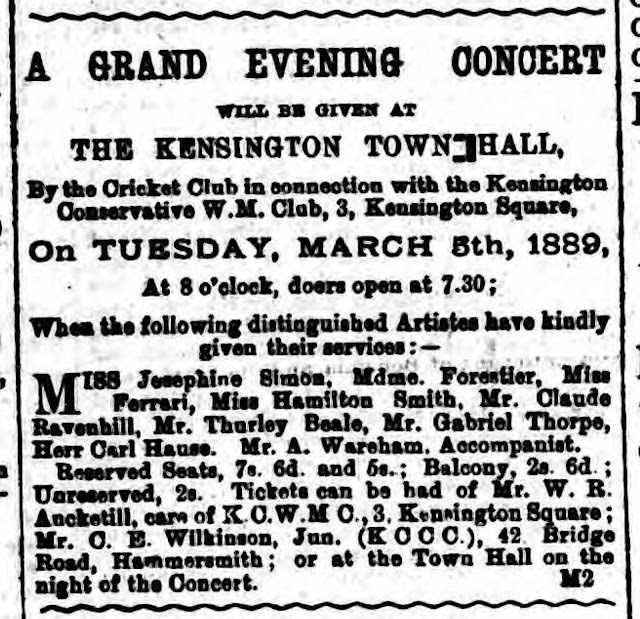 He became a JP, but died (perhaps in London) on 9 March 1889, aged 69. His funeral took place in Leatherhead, Surrey, on 14 March and was attended by numerous leading Conservatives from London. The year before this, on 3rd March 1888, a Maxwell Ancketill of Willow Cottages, Leatherhead, had died aged 61. This may well have been a brother of William's. William's son, Amyatt William Ancketill, joined the Royal North Down Rifles around 1874 and served for five years, resigning his commission in 1879. He continued to live at Quintin Castle until his death in August 1915. He was one of a large contingent chosen to represent Portaferry at the Ulster Unionist Convention of June 1892. In September 1916 W.R's daughter Ada Ancketill is recorded as one of the hundreds of donor to the ‘UVF Patriotic Fund’ from the Portaferry district. They and their sister Constance (d. 11 June 1914) are all buried in the family plot at Ardquin Parish Church between Portaferry and Kircubbin, pictured below. Constance had signed the Ulster Covenant in Portaferry. The three siblings had helped in the dramatic rescue of the crew of an Italian ship - the Terazesna – which was wrecked on the coast beside the Castle, in January 1895, saving the lives of 8 men. Rich coastal elites with their rigged political systems. Lower class rural mountain communities, growing disaffected and resentful. “… In December 1775 delegates of the Continental Congress met with Rev. Caldwell. Although seemingly isolated on the frontier, Rev. 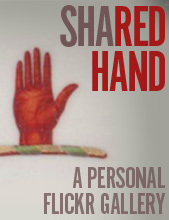 Caldwell joined an intercolonial movement that aided attainment of America’s independence. Beginning in January, 1776, his sermons from the pulpit inspired wary and disaffected Scotch-Irish to take up arms and fight against British oppression …"
It is interesting to me to see again the Williamite Revolution presented in this way - not unthinkingly loyal to the Crown, but rather consciously pro-liberty and willing to rise up against the Crown. There is still something important to be done with that story for our time. Caldwell was a massive influence on North Carolina, making a huge impact as a community leader, physician and educator, as well as minister. He and his wife Rachel were both of Ulster parentage - David's father Andrew was from Ballycogan near Lifford, and Rachel's father was Rev Alexander Craighead from Donegal - a minister who required parents of children requesting baptism to swear the Solemn League and Covenant. So it's no surprise to see Londonderry mentioned in the sermon extract above. Their families had arrived in America and settled at Drumore Township in Pennsylvania, land which had been granted for an Ulster-Scots community by William Penn in February 1739. Caldwell was involved in the Battle of Alamance on 16 May 1771, when the backcountry ‘Regulators’ (effectively the North Carolina version of the 'Sons of Liberty’, who were seeking to introduce regulations to root out political corruption and élitism) took up arms against a coastal militia. This is sometimes claimed to be the first battle of the Revolution. One of Caldwell’s students was John Morehead (1796–1866) who later became Governor of North Carolina. He recalled that Caldwell spoke with a “…broad Scotch accent which he often assumed, when he desired to be humorous or to worry a laggard pupil with a bad lesson…"
The other surviving sermon that I know of is orthodox theology, entitled The Doctrine of Universal Salvation Unscriptural. It seems that Caldwell’s time at Guildford, North Carolina, also included some of the Second Great Awakening revival, in 1791, by which stage he had been joined by another Ulster-descended minister, James McGready. In 1842 Caldwell's successor and biographer wrote of the “Scotch-Irish Presbyterians” being “the most efficient supporters of the American cause during the struggle for independence”. A more recent and detailed biography is online here. David and Rachel Caldwell are honoured still today with a heritage centre and park in Greensboro. Biographer Finis Jay Caldwell has concluded that Rev David Caldwell would have developed his ideas of political liberty from John Locke’s Two Treatises on Government (1689), including that people may justifiably raise armed resistance to the state. This was required reading at the College of New Jersey when Caldwell was educated there as a young man. 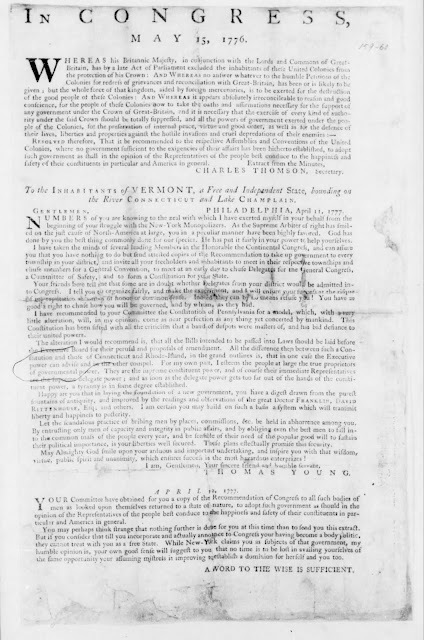 And Locke’s concepts of liberty can be traced back to Lex Rex, the famous 1644 work by Samuel Rutherford (see here), and which just last summer the Washington Post connected with the Declaration of Independence (see here). And once you get to Rutherford, the philosophical lineage carries on back through Andrew Melville, John Knox and George Buchanan. Rutherford even quotes from Aristotle. This superb old-time band have played in Northern Ireland a few times over the years, and are back again in a few weeks time on our side of the Atlantic but not north of the border this time, so I will be heading south to see them. What a glorious sound. Hoke around YouTube for loads of their music. Visit their website here. Gibraltar is in the news again due to 'Brexit' and the fallout from the ‘triggering' of Article 50. Just over 230 years ago, at the tail end of the American War of Independence, France and Spain tried to re-take Gibraltar from British control (who had held it since 1713) in a siege which lasted 3 1/2 years. During the siege, this particular story unfolded. Surreal as the title of this post might sound, this is a true story. In the mid to late 1700s there were Masonic fraternities who used the name 'Orange'. People who know about these things tell me that they might in some way have honoured the memory of King William III, Prince of Orange – although some online Masonic sources say that lodges used colour as a naming system. 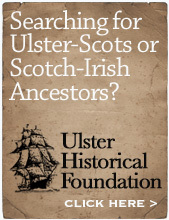 There was one at Doagh in County Antrim and a more well known one in Belfast; there may have been others. Belfast, April 2. Last Monday captain Abraham Rahash, and his son Ali Rahash, two Turks, taken prisoners by the Spanish in attempting to bring relief to the garrison of Gibraltar, and had afterwards escaped and got to Leith, from whence they came to the town, well recommended by the grand lodge of Scotland, - visited the Orange Lodge No. 257. where they were treated with every respect, civility, and love, by the brethren of that numerous and respectable body ; who gave them a recommendation to other lodges, and a sum of money to enable them to return to Constantinople, the place of their nativity. How greatful to the liberal mind, to perceive the distinction of Turk and Christian, in short, all local and religious prejudices sunk in the more sublime affection which, as the offspring of one common parent, we all owe to one another ; and which every sound principle of religion and virtue never fails to heighten into pure philanthropy, when not obscured by the rankest bigotry and ignorance. The story was retold in Historical Collections Relative to the Town of Belfast by Henry Joy (1817) - online edition here. The Packet had been founded by Ulsterman John Dunlap in 1771, and in 1784 it became the first daily paper in America. Even an experienced newspaper man like Dunlap, looking for content to fill the demanding pages of his daily newspaper, must have raised an eyebrow at this story from his homeland. Orange Lodge No 257 is said to date from 6 June 1755. According to this 1782 source, the lodge met at the Donegall Arms once a fortnight. A Past Master of the lodge was Amyas Griffith, a prominent figure in Belfast's social and literary circles, who famously observed shortly after his arrival in Belfast in 1780 that 'the common people speak broad Scotch'. On 28 April 1783, John Brown, the worshipful master of the lodge laid the foundation stone for the Belfast White Linen Hall. The original copper plate bearing the inscription is said to be in the collection of the Ulster Museum. Here is an article about another of the lodge's members, William Todd Jones; and another here, on the consistently excellent Eddie’s Extracts, of lodge member Rev James Bryson. who was minister of 2nd Presbyterian Church, Belfast. The lodge was closely associated with the Belfast Volunteers. Further research is needed into this unusual story. That's part of what I tweeted as the end credits rolled on episode two of 'Wayfaring Stranger' when it aired last Thursday night. It is hard to describe what it is like to wait nearly all your adult life for a programme of such quality and depth and to see it materialise in your own living room. A lifetime of listening, tracing the origins of early recorded music and before, years of reading, a honeymoon and also family holidays in Appalachia which were actually thinly-veiled research missions, years of seeing many of the jigsaw pieces but with no author or producer to have ever found the missing ones and then assemble them into a single picture. Until now. Until 'Wayfaring Stranger'. Never underestimate the power of nostalgia to evoke memories. When Sheila Kay Adams sat on her porch with a five string banjo, playing 'Where the Soul of Man Never Dies' with Phil Cunningham pulling sweet yet sombre chords from his piano accordion, this was my mission hall life transported thousands of miles from where I and my ancestors were rared to a New World of rural North Carolina - and yet a world to which none of us truly belongs. I'm getting emotional just writing this blog post. Why? Because music and stories can do that. You can hit me with a thousand facts, or just sing me one song. The song has the power. And then came Ricky Skaggs, and Jerry Douglas, and Tim O'Brien, and Frank Newsome, and Fiddling John Carson, and Jimmie Rodgers, and the Carter Family, and William Walker, and - look, if you don't know who these people are then you owe it to yourself and your heritage to find out. 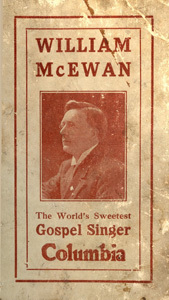 Many of the songs and tunes played were ones that I grew up with, that my late mother sang, that her mother sang, that her father collected on 78s, that I now have, and which appeared in popular hymnals on both sides of the Atlantic from the mid/late 1800s right up to the present day. It was an honour to see my scratchy old 78 of Fiddlin John Carson being played on the programme, which I had loaned to the producers, Fiona and Sean. Last July I saw Carson's Ulster fiddle in the Country Music Hall of Fame in Nashville (my photo is below). ‘Pluperfect awful’ it might have been to Ralph Peer’s New York ears, but it meant something deep and powerful to Scotch-Irish country folk. I have now seen his musical story – our musical story – at long last properly told. And the closing sequence, with the distinctive instrumentation of Johnny Cash’s superb, mournful, American Recordings version of Wayfaring Stranger as an outro, brings the whole story right up to the beginning of the 21st Century. "... Ulster Scots ... dissenting traditions ... broadly suspicious of central authority ... unwillingness to accept the political authority of urban elites ..."
Now doesn’t that sound familiar, and as if it were written just in the past few months? So says this article on the website Journal of the American Revolution from May 2014, entitled ‘Ireland and the American Revolution’, by Matthew P. Dziennik. Over the past few months regular readers will have seen the vast Ulster-Scots imprint along the road towards the American Republic. On 28 July 1775 the leaders of the emerging new nation wrote an Address to the People of Ireland (online here), which was signed off by John Hancock. It is easy to imagine that the many Ulster-Scots around him were at his elbow as the words were being penned. Similar addresses were written to the people of Great Britain, Canada and Jamaica. It also raises an interesting question - that for our ancestors, and the global diaspora, liberty was/is more important than nationality. Even in the Thomas Sinclair-penned words of the 1912 Ulster Covenant, ‘civil and religious freedom’ came before ‘citizenship’ and ‘Empire’. Let’s be honest, some ‘Ulster-American’ stuff is pretty poor. I am ever more convinced there is a vast and credible story still to be fully uncovered, by people much smarter than me. The first episode aired last Thursday and is currently available on BBC iPlayer here. It is a superb telling of our musical heritage. Previous attempts in years gone by - such as Bringing It All Back Home (1992) and the Translatlantic Sessions - have not understood - and therefore left out - the Ulster-Scots dimension, and so became merely Scottish and Irish. This puts 'us' centre stage, with groundbreaking research and marvellous new discoveries. You just have to watch it - drink it all in with a Parting Glass at the end of episode one. Just wonderful! You know the one. That one. It’s mentioned in this excellent article by Dr Donald Fortson of Reformed Theological Seminary in Charlotte, North Carolina. I have never been able to find a primary source for it, and neither have any real scholars who I have known for many many years. “… While he is distinctive as a type, the Scotch-Irishman is a racial evolution the result of a slow fusion of diverse characteristics. It is said of the Scotch-Irish that they are doers rather than talkers or writers. True, they have been builders; and their foundations were deep and strong and enduring. They have builded for the ages, but they write and talk quite as well as other races. Their deeds in behalf of American independence should ever be cherished in patriotic remembrance; and it is a remarkable fact as observed by those who have taken the trouble to examine the matter that it is only within the past few years that recorded history has given just credit to the sturdy race, to whom Washington looked as his never failing support and as his forlorn hope when all others should have left him, when defeat should have encompassed him. Representatives of the Scotch-Irish race are among the brightest names in American history. They have shone in every great epoch of national life. So long as there is a struggle for human liberty, so long as patriotism has a place in the American heart, that long will the name and fame of your ancestors be preserved and enshrined…"
Washington’s 1932 Bicentennial publication has a small section entitled ‘The Scotch Irish’ (click here) which refers to the David Reed in the signpost marker above. Tyrone, and Province of Ulster, Ireland. congratulations on the late happy and glorious revolution. are too constant to the feelings and principles of the. who respect the interests of humanity. the honour to be, with due consideration, gentlemen, your. Yes, the ‘Sons of Liberty’ man of Longford/Belfast parentage is said in various sources to be the one who proposed the name for the state. He did so in a document written from Philadelphia, first dated 11 April 1776, which Young addressed 'To the Inhabitants of Vermont, a Free and Independent State, bounding the river Connecticut and Lake Champlain’. The name is a translation of “Green Mountains” and a reference to the pre-Revolutionary “Green Mountain Boys” who were led by Young’s friend and fellow Deist, Ethan Allen. 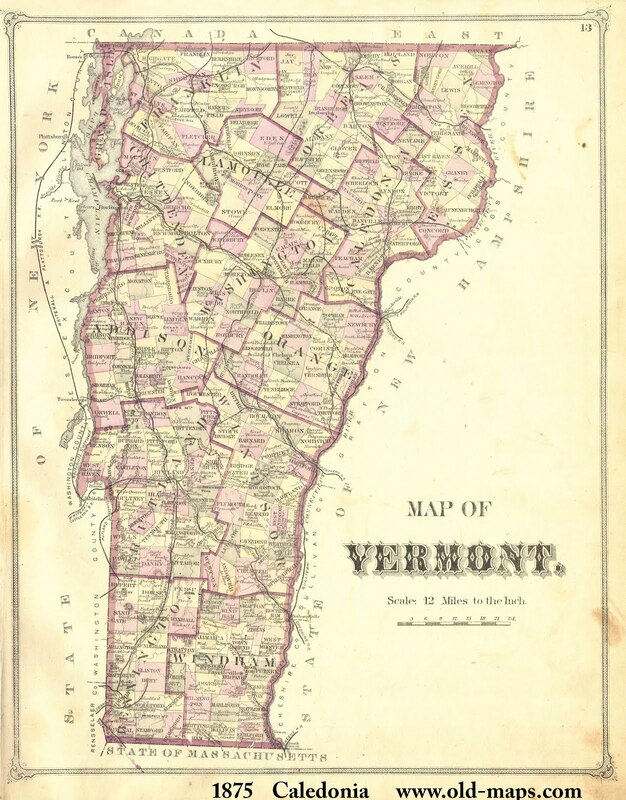 “We beg leave to represent our former worthy friend, Dr Thomas Young, now deceased, who pointed out the system to be pursued in establishing the state and to whom we stand indebted for the very name of Vermont”. This document was a petition to the Honorable Assembly of the State of Vermont, brought forward and signed by Ethan Allen, Thomas Chittenden and Joseph Fay. The 11 September 1891 edition of The Burlington Free Press contains a ‘trailer’ of sorts for a forthcoming series entitled 'The Scotch-Irish in Eastern Vermont' by “A.D.B.” which proposed to highlight in particular Caledonia County and the towns of Barnet, Ryegate, Newbury and Peacham. I get the impression that there is a massive story yet to be unearthed around the life of Dr Thomas Young.